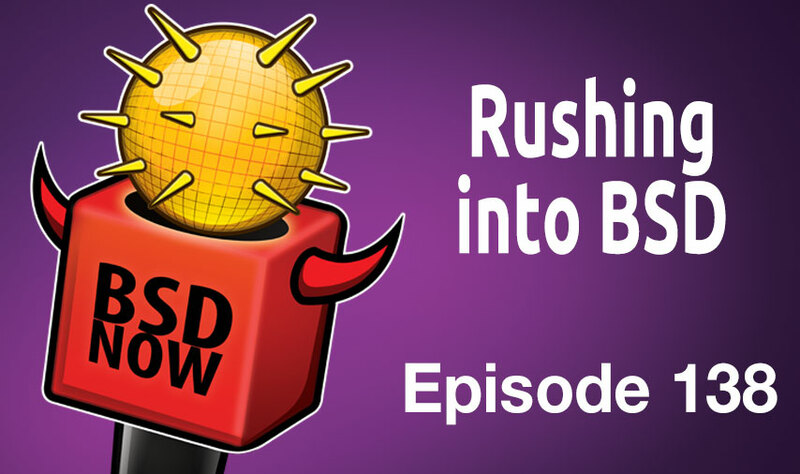 This week on the show, we will be talking to Benedict Reushling about his role with the FreeBSD foundation and the journey that took him there. That plus a few weeks worth of news to get caught up on, coming up next on BSDNow! Hoped to be to enabled it for ARM64 before or during BSDCan. By not relying on idiosyncratic features of the hardware, one makes porting to new platforms much easier. The Internet is like an elephant; it never forgets. When standards exist (such as ANSI Standard C) stick to them. Even after you have adopted a strategy, you should nevertheless reexamine it from time to time. Keep focused on your real goal, Einstein was right: Things should be as simple as possible but not simpler. IPsec IPComp does not work. IGMP Proxy does not work with VLAN interfaces. Colin Percival has written a great blog post this past week, specifically talking about his policy of writing “opinionated workarounds”. The crux of the post is how he deals with these workarounds. Specifically by only applying them to the particular system in which it was required. And doing so loudly. This has some important benefits. First, it doesn’t potentially expose other systems to bugs / security flaws when a workaround doesn’t “work” on a system for which it wasn’t designed. Secondly it’s important to complain. Loudly. This lets the user know that they are running on a system that doesn’t adhere to POSIX compliance, and maybe even get the attention of a developer who could remedy the situation. File this one under “Ouch that hurts” a new security vuln has been posted, this time against NetBSD’s ‘calendar’ command. Specifically it looks like some of the daily scripts uses the ‘-a’ flag, which requires super-user privs in order to process all users calendar files and mail the results. To workaround you can set run_calendar=NO in the daily.conf file, or apply the fixed binary from upstream. Wednesday is a developer unconference. Saturday is a user unconference.